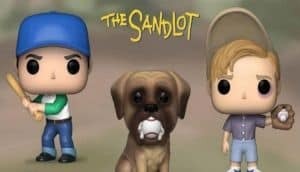 The Sandlot Funkos Coming in June | Nerd Much? If you know Funko, you damn well it doesn’t take much for them to find an angle for some new Pop figures. So with Major League Baseball’s Opening Day kicking off tomorrow, there’s no better time to announce that The Sandlot Funkos are coming based upon the iconic movie. In addition to the MLB season kicking off, it’s also the 25th anniversary of the flick. The Sandlot debuted in theaters on April 7th, 1993. It didn’t do anything amazing at the box office. It earned a modest $33 million off of a $7 million budget. However, VHS and DVD sales soared due to the movie’s pop culture status. Those alone earned 20th Century Fox around $76 million. The core line of the set includes Benny “The Jet” Rodriguez, Scotty Smalls, Squints and Ham. Benny rocks a serious look and batting stance. Smalls seems nonplussed with his iconic black eye. Squints is just chilling bat in hand, hat backwards. And Ham is calling his shot pointing to left field. Funko has done a fantastic job capturing the likeness of each one of these unique characters. However, Benny isn’t laced up in his P.F. Flyers, so his design loses a couple of cool points for that. There are also two retail exclusives to The Sandlot line. Hercules, a.k.a. “The Beast”, will be available throughout GameStop stores. 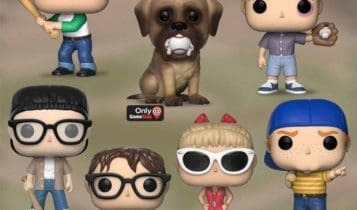 And a two pack featuring Squints and Wendy Peffercorn will be purchasable at Target. Squints is in his swim suit, marking the moment in The Sandlot at the community pool in which he made his move on Wendy. Wendy is wearing her lifeguarding outfit and donning her cool 60s sun glasses. Finally there’s Hercules, better known as The Beast. Funko’s Pop vinyl figures typically go for a more cutesy look, and that’s what we get here. The Beast doesn’t appear too beastly in figure form. But it turns out he wasn’t all that bad in the movie either. Each of the Sandlot Funkos come in the standard 3 ¾ inch tall mold. Funko says the lineup will be available in June at Target and July via other outlets. 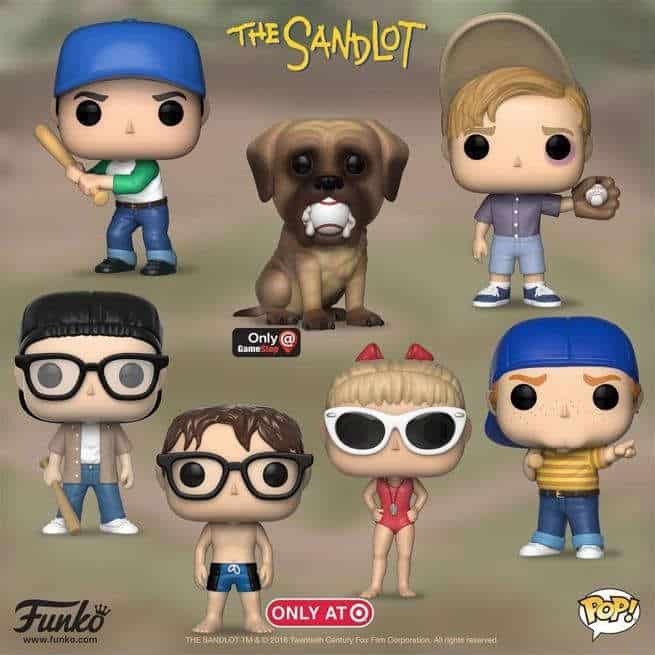 Pre-order The Sandlot Funkos at Entertainment Earth.